In a colorful arrangement of moving pieces, one is transported from a mood of sadness (East Circle), to humor (Joking Barber), from classical music (No more Tears) to jazz (Concerto for Cello and Band), and from the dramatic (Moon Coral) to the more dance-like (Ballroom Tango). This kaleidoscopic variability is emphasized by the group’s newly coined name, Saltacello, which is a combination of “to spring” or “jump” and “cello”. One can therefore imagine that Saltacello has its own unique style as well, a mixture of different musical elements in which fragments of familiar motifs or compositional techniques and forms are ignited and “jump” or “spring” out for a moment and then, in virtually the same instant, are extinguished, while the cello, as focal point, serves as a constant throughout. Characteristic for Saltacello is their extraordinary ability to create a mysterious, poetically transparent sound, (for example in Trio for Cello, Saxophone and Piano). This way, almost as if they were taking a child by the hand, they lead their listener into a world of fantasy. From the very start, listeners were captivated by the enchantingly beautiful world of tones and sounds created by the quintet Saltacello in the Bürgerhaus Elchesheim (the Community Centre of Elchesheim). The boldly radiant, colorful interpretation of Thus spoke Zarathustra draws one immediately into a perfectly spun musical web of the most beautiful sort. It captures influences from a multitude of far-off lands, but above all from Korea, where, on its many celebrated tours, Saltacello picked up some of the sounds and rhythms of the country’s traditional music which it has reinterpreted in its own style. In contrast, an unmistakably Argentinian influence can be heard in the melancholic elegance of the cello in the piece Ballroom Tango. Peter Schindler was a master at the keyboard with clarity and sensitivity. With great zeal, his brother, Wolfgang, hijacked the cello from the world of the classical into new spheres, where the strings were bowed and plucked, at times prancing, at times full of melancholy, at times forcefully, at times beseechingly. Peter Lehel on the saxophone moved nimbly through serpentine paths into remote corners, or, on his base clarinet, into well-worn musty depths. Mini Schulz was at one with his contrabass, and, during a solo, clearly demonstrated that one can also paint with tones, brush stroke by brush stroke. Markus Faller, with just two hands and two feet, and without showing the slightest sense of agitation or frenzy, succeeded in simultaneously bringing out all seven levels of resonance on his instrument. From Yellow Cello, a piece full of horrors portraying a musician’s nightmare, to Sahara Sunrise, where Berber-drums, cello and saxophone paint a sunrise, through a “jazzy middle”, and concluding with the comic collision in Bear, Mouse and Foxtrot, it was from start to finish an exciting concert. Like a drug, the five musicians from the ensemble Saltacello created a sound environment, each with his own distinct range of tones – from piano, to cello, to saxophone, contrabass and drums, supplying the driving force to sustain director Jung-Hye Bae’s gesture-rich choreography with its wistful variation of arm positions. 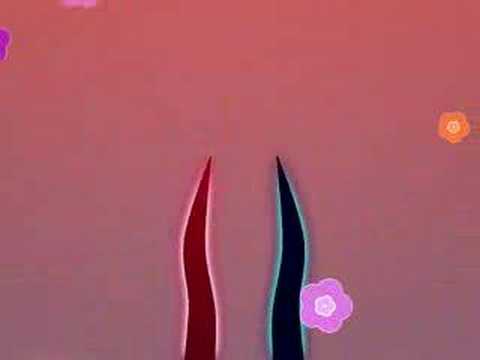 To start with, Peter Schindler’s musical concept is extremely exciting. He combines classical elements with jazz harmonies; he mixes classical forms with unconventional rhythms, and his pieces – which at their core are structured like chamber music – reveal the significant influence of Latin American pop music. In brief, Saltacello’s music is a convincing mixture of thoroughly different styles – something that also finds expression in the program of the evening. After all, when does one hear a three-movement suite in a jazz club? A second plus: the quintet is an ideal vehicle for realizing this concept. For example, in Sahara Sunrise, Peter Lehel and cellist Wolfgang Schindler present a theme in unison, which is then picked up and further developed with harmonies by the piano. Mini Schulz on bass and Markus Faller on percussion provide the rhythmic framework. The sounds thus build upon one another to create a total sound experience, one that the audience in the Ettlingen Jazzclub enjoyed tremendously. Saltare is Latin and means “to dance” or “to spring”. From the name Saltacello, therefore, one might expect to see a dancing cello. And indeed, at Saturday evening’s concert at the Bauernhof Museum in Kleinlosnitz, organized as part of the “Festival Mitte Europe” (Festival of Central Europe), the cello is the center of attention – even though Saltacellois in fact a jazz ensemble. And then again, it’s not quite. The founder of the ensemble, Peter Schindler (piano) and his colleagues, Wolfgang Schindler (cello), Peter Lehel (saxophone), Mini Schulz (double bass) and Markus Faller (percussion) have really created their own unique style of music. 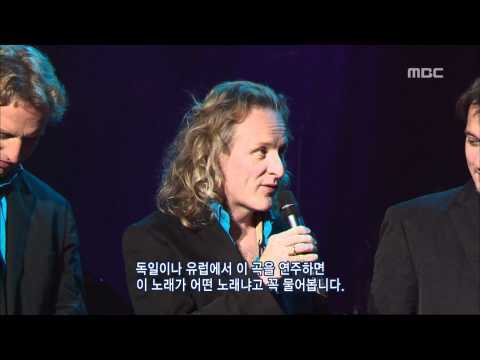 It is a music in which jazz elements are synthesized with classical tones and Latin rhythms; it is a music in which Asian harmonies, which the five musicians picked-up on their tours in South Korea and China, also contribute to the uniqueness of their sound. The ensemble’s music transports the listener on a (fantasy-) voyage. Saltacello’s repertoire consists almost exclusively of works composed by Peter Schindler, augmented by one or another Korean piece, which Schindler reworked and tailored specifically for the group. One of the pieces he calls Chansons ohne Worte (Chansons without words), and indeed, words would be unnecessary. Saltacello paints pictures and moods with their music, the songs speak for themselves. This comes as no surprise when one learns that the composer often works on stage-, audio-, film- and children’s-productions. Titles become clear, even tangible, for example in Yellow Cello (the story is the nightmare of an instrument that is disfigured by a graffiti-sprayer), Marathon Man, or in the comic-onomatopoetic encore The Bear and the Mouse and the Foxtrot, in which a mouse jumps about playfully, while a bear trots about leisurely, but full of bounce. These pictures are brought to life entirely through music, performed by outstanding musicians, who each, in their own right, are masters of their instruments. Above all, cellist Wolfgang Schindler, co-soloist of the Duisburger Philharmoniker (Duisburg Philharmonic) and in the Deutsche Oper am Rhein (German Opera on the Rhein), who plays with the delightful saxophonist, Peter Lehel, at times harmonizing as a duo, and at times playing counterpoint. When Wolfgang Schindler works the strings of his instrument, bows them, plucks them, and even hits them, not only is his entire body in motion, but his cello, too – it really does dance. Composer Peter Schindler creates truly fluid transitions between the most diverse musical genres. Next to jazz, which is at the core of his works, the influence of chamber music and tones from Latin America can be also often be heard. Above all, however, one registers the influence of the impressions Schindler gathered on his many trips to Korea. Time and again, the virtuoso playing of cellist Wolfgang Schindler and saxophonist Peter Lehel is met with a thundering applause from the audience. Set to Mörike’s lyrics, Saltacello conjures up elegiac chamber jazz full of detail, with echoes of chanson, Klezmer-melancholy and ballads. Already the first three pieces gave the audience an idea of what might be awaiting them this evening. In the first piece, Jindo Arirang, an unconventional introduction was followed by an emotional cello melody, imbedded by the soprano-saxophone; in the captivating meditative passages that followed, the distinctly Asian influences were most clearly to be heard. In stark contrast, In between Times sparkled with lively bass tones that had a strong rhythmic beat and a jazzy-syncopation. Totally different, still, was the Salted Samba, which was truly ‘salted’ with its contagious rhythms and impressive cello part. Almost everything that goes into making up the sound of Saltacello was already hinted at from the start and got the audience at theklang-stage in Gaggenau into a mood of excited expectation. Saltacello is made up of five first class musicians who effortlessly cross barriers in the most sensitive and differential way. They merge their styles together and allow them to flow into one another; they show their individual inspiration with an almost innate understanding of how to play together as an ensemble. 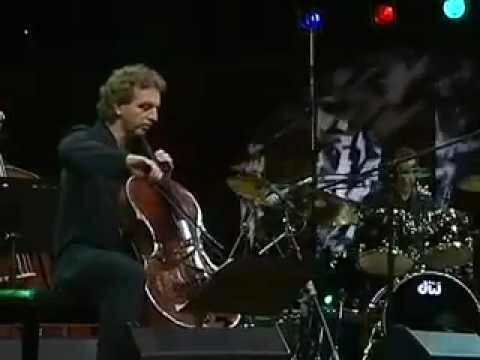 It is unusual to have a cello in such an ensemble, but the partnering, or better said, the contrast with the saxophone, is truly captivating. When the cello takes over the lead and shows his extraordinary talent, then the group’s name, which is made up of “saltare” (to dance) and cello, is an exact fit. All of the pieces played this evening were written by the pianist, Peter Schindler, specifically for Saltacello. Dominated by jazz elements and jazz-like styles, most of it is composed all the way through; from time to time, however, he gives one or the other instrument enough room to improvise. Samba, Bossa Nova and Tango – the Latin American influences can clearly be felt in many of the pieces. 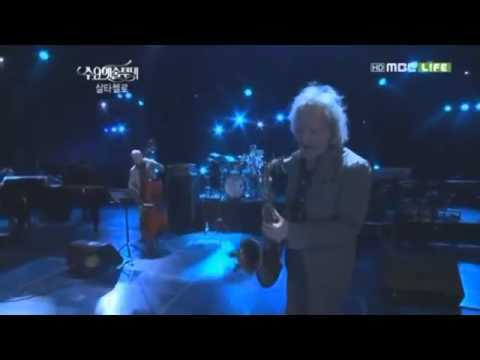 Concert tours in South Korea have likewise left traces of Far Eastern elements on some of the compositions, and jazz seems to be what the group was raised on. Particularly surprising is the fact that highly lyrical passages and tones of chamber music re-emerge time and again; in the most subtle way, they help the music to re-find its calm and direction. Peter Schindler is sensitive as a composer, pianist and bandleader; as pianist, he never dominates, but rather leads the ensemble. His brother, the cellist, Wolfgang Schindler, who’s primary position is as co-soloist in the Duisburger Philharmoniker (Duisburg Philharmonic), is accomplished in the widest range of techniques; using his bright pallet of technical and creative possibilities, he brings forth a very special sound. He demonstrates this in both the virtuoso and the sonorous legato-passages of the title piece, Saltacello, but perhaps even more brilliantly in his passionate sequences in the virtuoso movement of a concert piece for cello and band. Peter Lehel, soprano- and tenor-saxophonist as well as bass clarinetist, delighted with his demanding echoing of and commentary on the cello-parts and with his atmospheric background playing, which was as soft as velvet. He left lasting impressions particularly with his stirring improvisation in the piece Zarathustra and with his jazzy-solos in the first part of Trilogy. Mini Schulz and Markus Faller were far more than just rhythmic accompaniment. With absolute precision, Schulz provided backup along imaginative musical paths. He demonstrated what he is capable of as a jazz-bassist in a fantastic solo in the Korean piece, Kangwando Arirang. Faller too, as accompanist, was sensitive and focused on the totality of the ensemble’s sound. Once freed, however, he got swept away in a breathtaking extended solo on drums and cymbals. A long applause was rewarded with two encores. In the beginning there was silence. It is eventually broken by a delicate motion of the percussionist’s cymbals. Contemplation. Reflection. Concentration. At the end of the impressive concert in the Theaterhaus Stuttgart, the audience was left with the tones of the popular melody of a lively Korean work song ringing in their ears. In between, the Saltacello band wrote musical history that bridged the poles between classical and jazz, between East and West, between serious and cheerful, between composition and improvisation, between lightness and heaviness. And, what was the best thing about it – there were moments in which the five musicians, in a subtle and original style, brought these poles together. Such fusion can only happen for brief instances. In fact, a successful nearing is already quite something. How delightful is it when it actually works – and more than convincingly so.